HK Typhoons is excited to announce Matti Fagerstrom as the latest addition to the full time coaching staff! Matti is a native of Finland and spent his youth playing for his home town team HPK until he reached the U20 level. From there he moved to the city of Valkeakoski and played for Kiekko-Ahma in the Finnish 2nd division for three seasons. He was then accepted into the Sports Instutute in Vierumaki to study professional hockey coaching. Matti started his coaching career in 2008 by returning to his home town Hameenlinna and was assistant coach for the U16, U17 (National gold medal) and U18 (National silver medal) teams before moving to Austria in 2009. 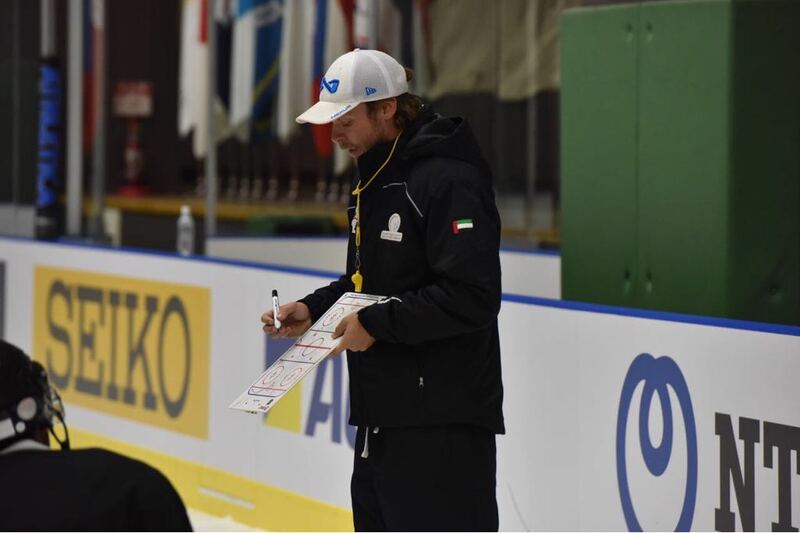 In Innsbruck, Austria, Matti was head coach for U15 team reaching National bronze medal, and assistant coach for U20 team. After this he moved to UAE to help build a brand new hockey program. After three years of dedicated hard work it was time to go back to Innsbruck, Austria, to coach the local U20 team. After that season Matti had chance to move up to coach adults in UAE, specifically with the Al Ain Theebs team and UAE national team. He now heads to Hong Kong to join the Typhoons Ice Hockey organization after concluding his Head Coach position with the Abu Dhabi Storms and UAE senior national team. Matti brings solid coaching experience having dealt with young players to adults, complementing the existing coaching staff. Matti will work closely with Ludovic and Casey on developing the Typhoons ice hockey program. Garreau Ludovic played professional ice hockey in the France/Sweden leagues for ten years before turning his focus into coaching. 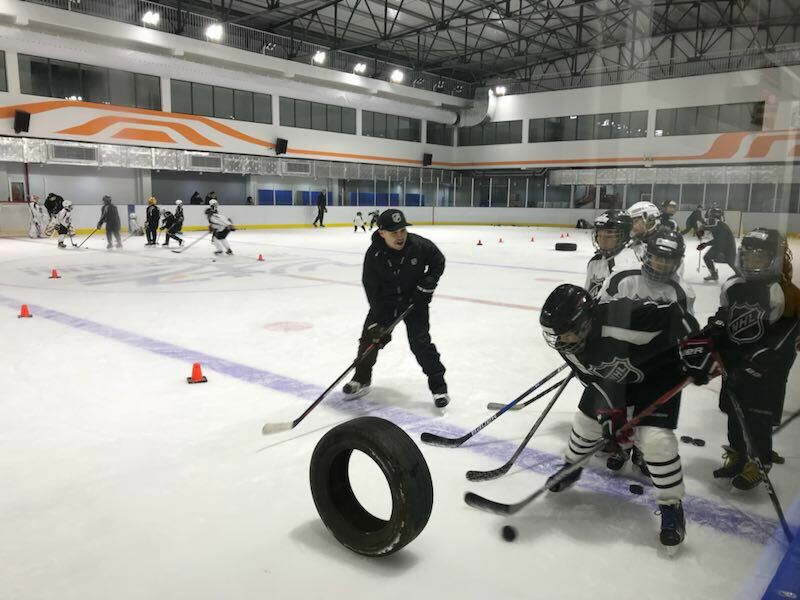 Garreau was an on-ice instructor for the NHL camp in Shanghai and was Head Coach and Director of Ice Hockey Club (France). Specifically for: Avignon youth hockey A team; Nice U7 U9 U11 B team, Mullhouse youth league from 2011 to 2017. In this role he managed the club, ice hockey school, trained players and coaches and liaised with government, sports associations and sports media. Garreau also is the CEO and Head Coach for Hockey Camps Adventures in Czech Republic. Some of Garreau's highlights are playing in the French national U16 and U18 national team, Coach for the French Women natioanl team U16 and U18. Worked in the French federation as coach of coach. French Champion as coach with U9 and U11 for Club Mullhouse 2012-2013. 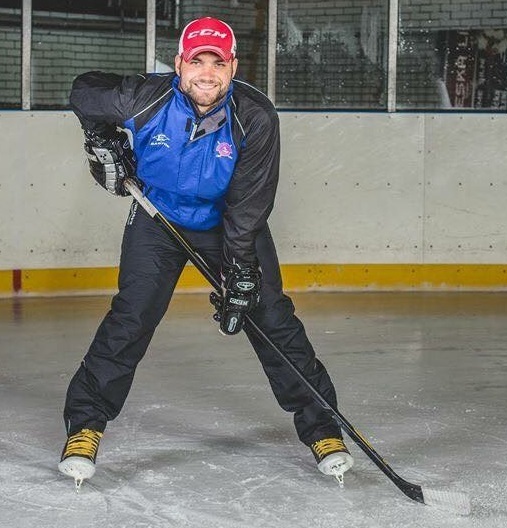 Casey Cook's latest position was with the NHL as an on-ice instructor for the NHL camp in Shanghai. Prior to this he was coaching with the Beijing Chevaliers hockey club and then as an instructor with Potent Hockey, China. 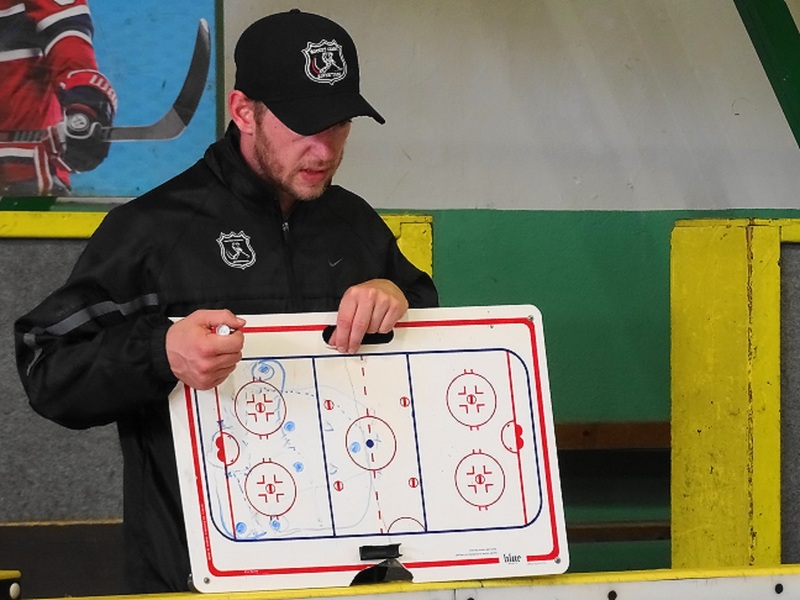 As an instructor at Potent Hockey, Casey directed multiple coaches training programs, as well as provided skating treadmill and off ice skill development for youth in Guangzhou and Beijing. Casey is Canadian from Montreal, Quebec who grew up playing at the elite level for 15 years. Upon finishing his playing career and graduating McGill University, he pursued a focus in growing the game of hockey. He has travelled around Europe to 8 different countries with Hockey Without Borders, directing camps and programs for both coaches and players. During this time, Casey continued to work with the Cree Nation Bears Hockey, SISU hockey camps, Loyola High School and Perfect Skating in the capacity of skating specialist, coach and overall program developer or director. Casey played at the Canadian Junior A level in the OJHL for the Kingston Voyageurs. Prior to that was Varsity Hockey Captain for Saint Andrews College, having graduated with the Athlete of the Year award. 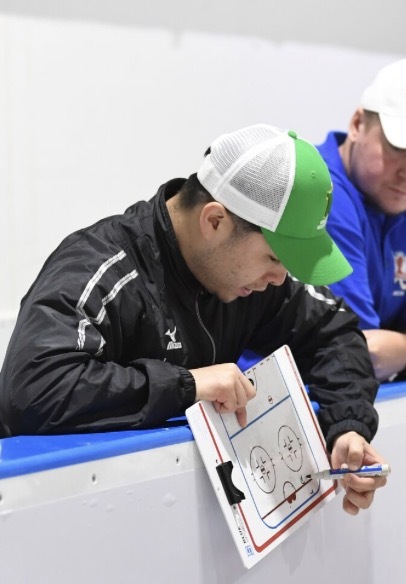 Casey is determined to grow the game and as an accomplished coach with Hockey without Borders, is excited to continue his journey in Hong Kong. Rudolph Bernart has been with the HK Typhoons coaching staff since summer and is already a familiar face with the players and parents around the rink and at tournaments. Rudolph is a native of Czech Republic and was goalie for the Czech 4 from 2014 to 2018. Before that he spent a year playing at Mountfield HK U20 team and from 2006 to 2013 he played for HC Pardubice U18 and U20 teams (2011 to 2012 he was a member of the extraliga A team). He spent his youth days playing for HC Hradec Kralove. Rudolph's coaching experience began as a youth and goalie coach for Mountfield HK for four years until 2018, concurrently he was a goalie coach at the Czech hockey camps. During 2017 to 2018 he was the assistant goalie coach of A-team Mountfield HK (extraliga) as well as for the hockey team of University of Hradec Kralove. He is a graduate of University of Hradec Kralove with a Bc from the Faculty of Education in Physical education and sport. Tsuki has coached in Hong Kong and is well known in the APAC ice hockey community. 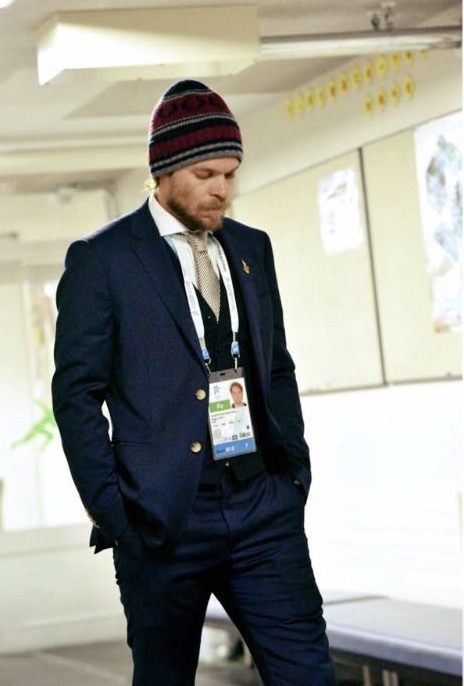 He has achieved the highest education in hockey coaching (Level 5) recognized by the IIHF, Sports and Leisure Management degree with a minor in ice hockey coaching from Vierumaki, Finland. Prior to his Head Coaching positions at Hokay and Pioneers Hockey Clubs in Beijing, China, he coached at Nippon Sports Science University in Japan leading his team to promotion to top division for the first time in school history. Tsuki coached for Nippon Sport Science University in the top Japanese Collegiate League. He also coached the Japanese University National Team Development programs before arriving in China. In his earlier years, Tsuki played professionally in Estonia, HK PURIKAD. In addition, Tsuki played Junior A hockey in Finland for Heinolan Kiekko. 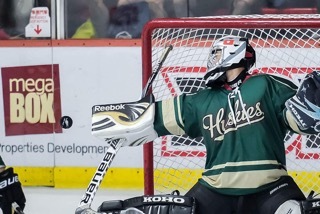 Tsuki has been in China for the past four years, leading the Pioneers Hockey Club and Hokay Ice Hockey Club. In 2018, Tsuki has been offered a position as a Senior Advisor for the Japanese Ice Hockey Federation regarding National Team and a whole revamp of his country’s development. In this case, Tsuki has changed his position to HK Typhoons Hockey Consultant instead of Senior Coach, who will arrange camps, tournaments and giving advises for our members and the club. Cosney is a recent Typhoons graduate who will be helping out coaching and as a ref. 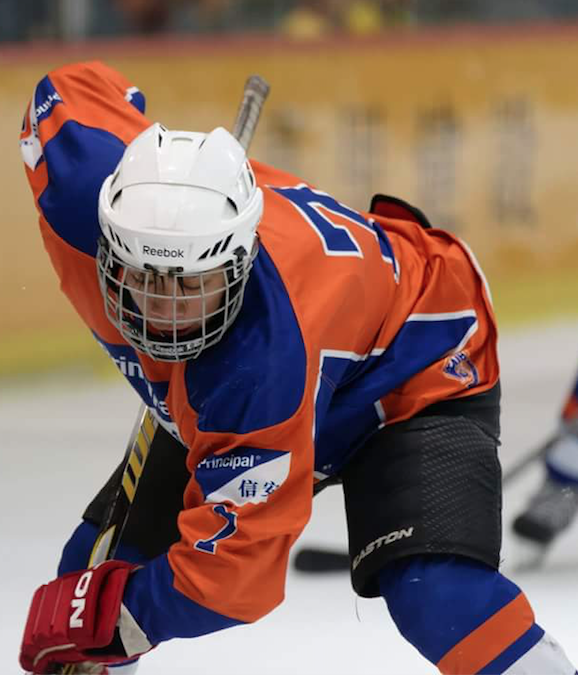 He is 17 years old and plays both ice and inline hockey and has been paying with the Typhoons since he was 6 years old. He has also been an integral part of the selects travel teams over the last few years and recently represented Hong Kong at the U18 World Championships in New Zealand in 2015. Cosney has also received his level 2 referee qualification from HKIHOA given him a greater understanding of the rules and last year made the jump to the Standard League as a player. For the 16/17 season Cosney is on the move again and will be a player in the CIHL. Cosney is thrilled to be on board for this season and is excited to have the ability to pass on the skills and knowledge of the game he loves to the next generation of Typhoons Players. Josh Ho is a former Typhoons Ice hockey player who is 17 years old and will be helping out as a coach and a ref this season. He has played hockey full time for 6 years seeing action as both a goalie and a player. He has already been involved in teaching the basics of skating in Hong Kong and has spent a season as a level 1 ref. He is excited to build on this experience with the Typhoons for the 16/17 season. Seeing different aspects of the game as a player and ref give him a unique perspective that will be a valuable asset to the Typhoons. Josh is excited to have the opportunity to continue with the Typhoons for the 16/17 season and wants to pass on the passion, skills and values he has learned from hockey to this years Typhoons Players.